Following reports on Tuesday that Special Counsel Robert Mueller was about to be smeared by Trump’s allies in the media, the Special Counsel’s office has alerted the FBI to an alleged scheme to pay off women to fabricate sexual misconduct allegations against Mueller, as announced in a statement to journalists Tuesday. Natasha Bertrand, one of the reporters who received the statement, as well as the original email that brought the alleged scheme to the office’s attention, covered it today in The Atlantic. “When we learned last week of allegations that women were offered money to make false claims about the Special Counsel, we immediately referred the matter to the FBI for investigation,” said Peter Carr, a spokesperson for the Special Counsel’s office, in the statement. 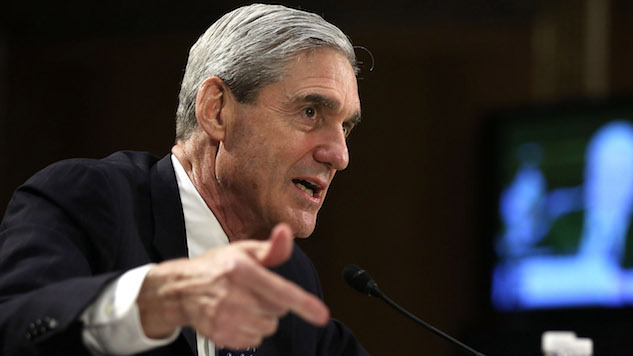 The Special Counsel’s office was made aware of the purported scheme after several journalists were contacted by a woman claiming she had been offered money to make up sexual assault claims against Mueller and, today, has made the rare move of releasing a statement to reporters during an ongoing investigation. Since May 17, 2017, the office has been investigating foreign interference in the 2016 presidential election, including possible coordination between Donald Trump’s campaign and the Russian government. Independent reporter Scott Stedman, who received the original email, posted about false allegations coming out against Mueller on Twitter early this morning. In an email, a woman alleged that she was contacted by a GOP activist named Jack Burkman “to make accusations of sexual misconduct and workplace harassment against Robert Mueller,” and added that she had worked for Mueller as a paralegal at the Pillsbury, Madison and Sutro law firm in 1974. He “offered to pay off all of my credit card debt, plus bring me a check for $20,000 if I would do one thing,” the woman wrote. Still, it’s unclear whether the whistleblower who wrote the original email actually exists, as Stedman has posted about receiving information that doesn’t correspond with their account. Earlier, Stedman also said the woman in question was unwilling to get on the phone with journalists, which would make it difficult to corroborate her story. I worked on this story and chased down leads, but found the woman to be very unreliable. She wouldn’t get on the phone, she lied about journalists she was working with, etc. Furthermore, I got in contact with the man who allegedly was offering the money…. Still, Stedman added that the man allegedly offering money “was extremely willing to confirm that he was indeed paying women to tell stories about Mueller” in an effort to discredit journalists working on the Trump-Russia story. He was extremely willing to confirm that he was indeed paying women to tell stories about Mueller. I concluded that this was an effort to discredit journalists working on the Trump-Russia story by planting a false story and see who would print it. Meanwhile, Burkman, a conservative lobbyist and radio host, has been known to espouse conspiracy theories. In March, Burkman claimed he was nearly killed by someone he hired for his own investigation into the murder of DNC staffer Seth Rich, whom right-wing conspiracy theorists falsely claim was involved in the 2016 leaked DNC emails scandal. Burkman previously offered $25,000 to FBI whistleblowers in an attempt to prove the Seth Rich conspiracy theory. A Twitter account purporting to be Burkman’s made similar claims about an alleged victim of sexual assault in a post today. While we cannot yet verify the claims related to the alleged scheme, such an effort to discredit Mueller would certainly not be out of character for far-right conspiracy theorists, who have proven all too willing to concoct stories about the opposition without probing any of the deep issues on their own side. Whether or not Mueller was indeed targeted by a scheme to plant fabricated sexual assault allegations, the concern about his possible victims seems highly unconvincing coming from the mouths of far-right conspiracy theorists who don’t otherwise care.